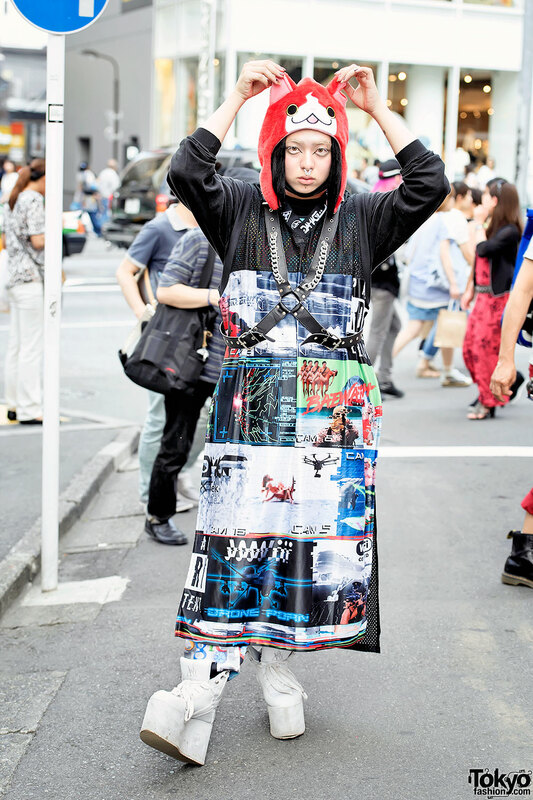 Harajuku guy in graphic print setup from DVMVGE, leather harness, platform shoes, and Yo-Kai Watch hat. 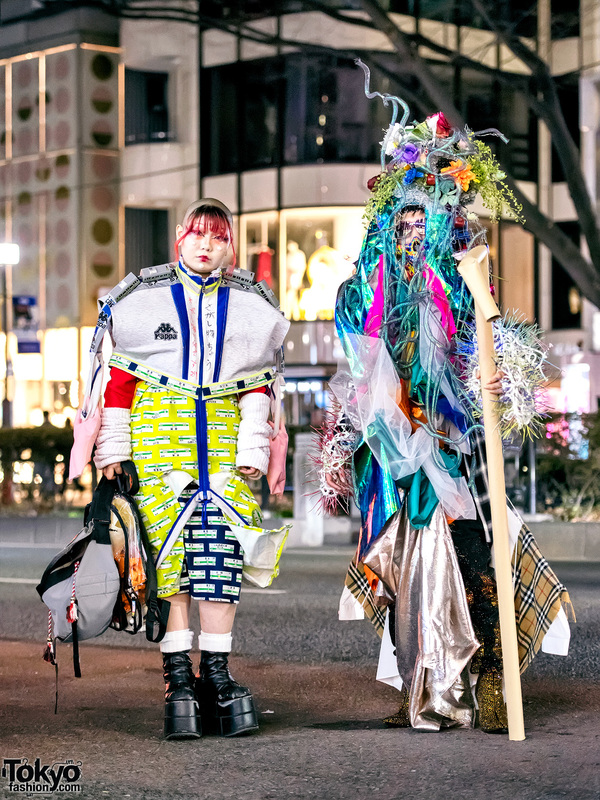 A report – with more than 50 exclusive pictures – from the second of Lady Gaga’s sold-out concerts in Tokyo in April of 2010. 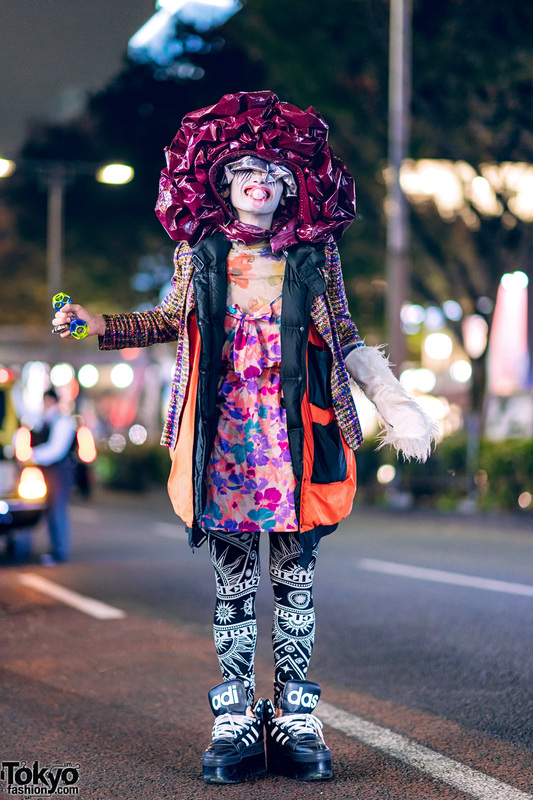 An amazing Japanese guy in Shibuya with orange dreadlocks, lots of face makeup, colored contacts, and an outfit by the brand Alba Rosa. 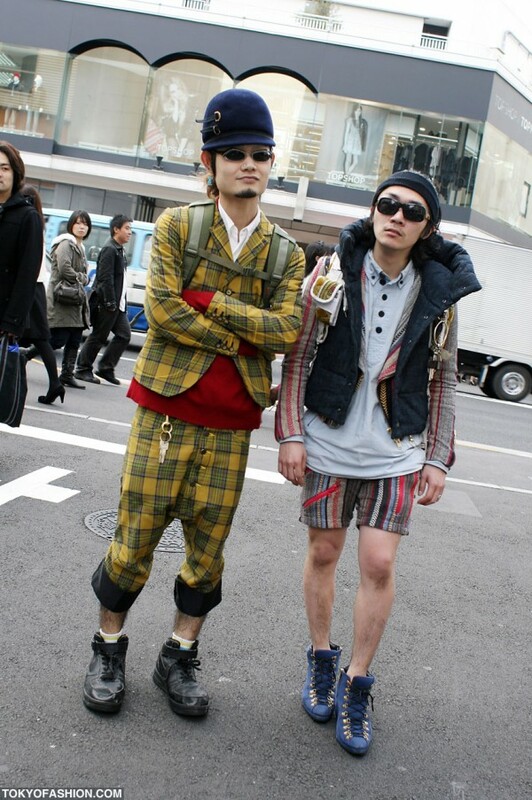 Street style pictures of two extremely fashionable Japanese guys who work at WEGO on Takeshita Dori in Harajuku. 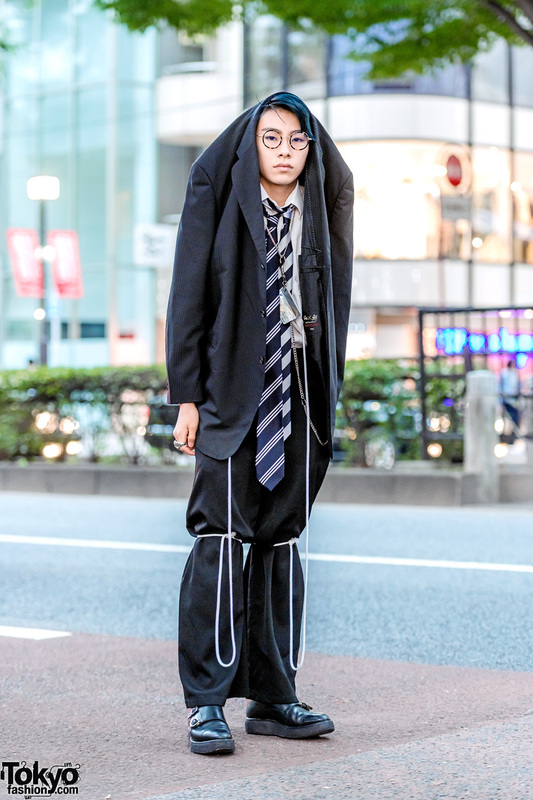 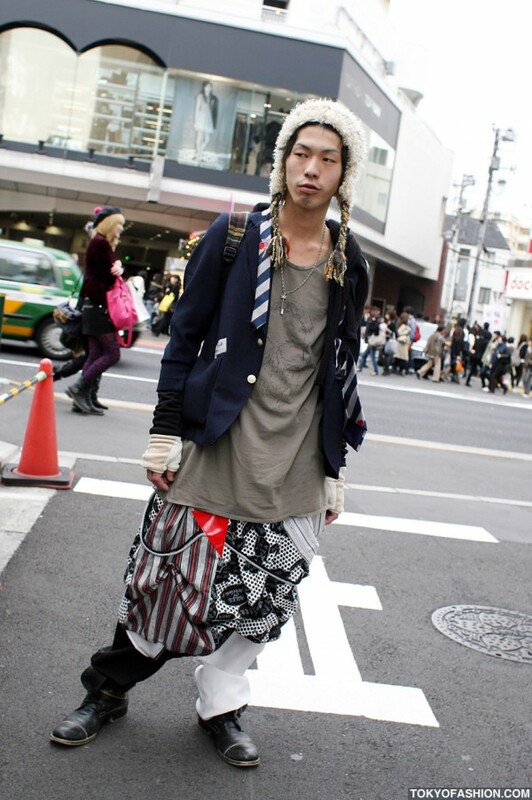 A cool Japanese guy in a Day Break blazer and sarueru pants with a cartoon print all over them in Harajuku. 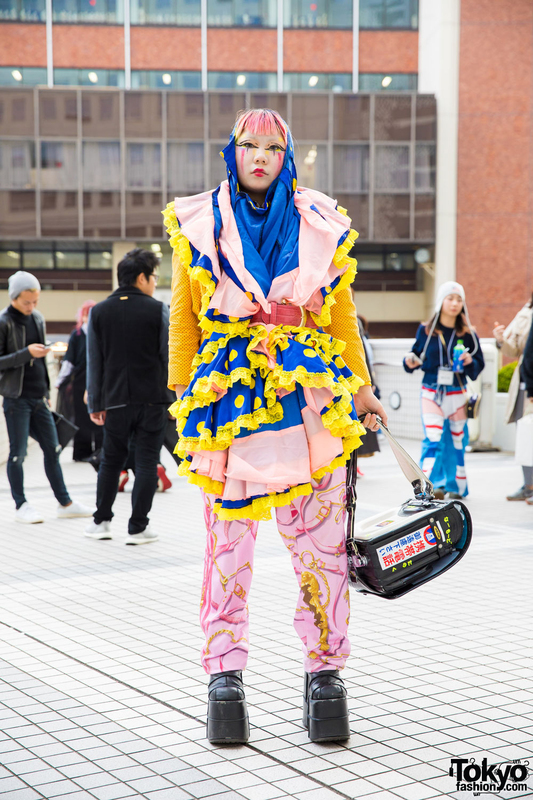 An extreme Japanese fashion show in Tokyo at Design Festa winter 2009 edition.